JKLF Chief Yasin Malik has been charged with murder and waging war against the state after he was detained from a protest rally. A security personnel was allegedly seriously injured in stone pelting during a protest rally led by him. 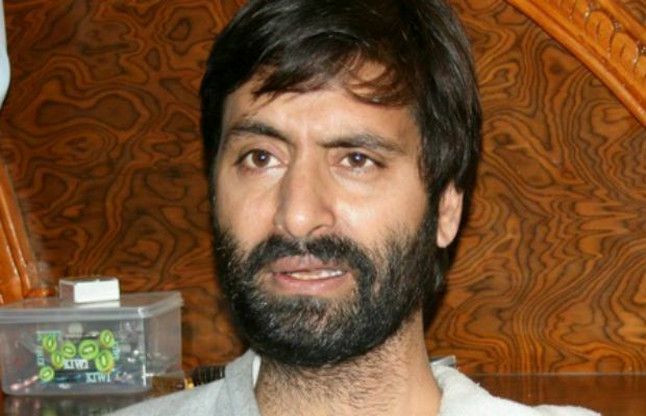 Malik along with several other members of JKLF has been booked and shifted to Central Jail, Srinagar. The separatist leader was detained on Friday afternoon. He was leading a protest rally against the killing of a woman and her six-year-old son who were allegedly shot dead by a village defence committee member in Rajouri district, reported The Tribune. Reportedly, the clashes between police and the protesters erupted after the latter were stopped. Sub-Divisional Police Officer, Kothibagh, Fahad Tak was injured in the incident.